Dressage—Core strength training for your horse. Don't listen to them. You know who I mean: The people who tell you dressage is all about expensive horses, expensive tack, expensive shows, and rubbing shoulders with royalty. They'll tell you "You can't ride dressage unless you have a real dressage horse." But dressage was originally developed to prepare horses for the military—to make them strong enough and calm enough to carry a rider into battle, even if swords were flashing and cannons were blasting around them. Mercifully, we don't use horses in modern warfare. But dressage training, when done right, continues to make both horse and rider strong, flexible, and in tune with each other. Here is his pedigree. He was foaled in 1998, making him nine years old in this photo. After his retirement from racing, he had been retrained for western-style trail riding. Here is a photo of Toastie taken in 2010 after about two years of dressage training. (He is slightly behind the bit in this photo.) Notice the improvement in his muscle development and strength. 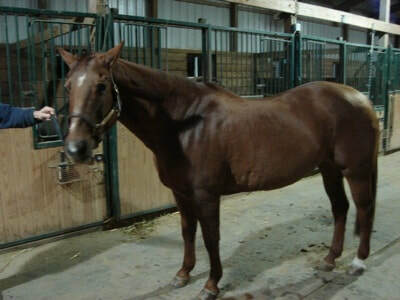 ​As another example, here is a photo of Allotta Smokey (barn name Smokey), an AQHA registered quarterhorse mare taken in 1994 when she was twelve years old. Although she was primarily a trail and lesson horse, she trained through first level dressage and schooled second level movements throughout her life in order to keep her strong and flexible. Here are photos of her taken in 2007 when she was 25 years old (left) and in 2011 when she was 29 years old (right). No matter what your horse's breed, dressage training (done right!) makes for a stronger, more flexible, and calmer horse. For a little humor, check out this hilarious animated dressage video. ​Read about and watch a simple dressage training routine here. 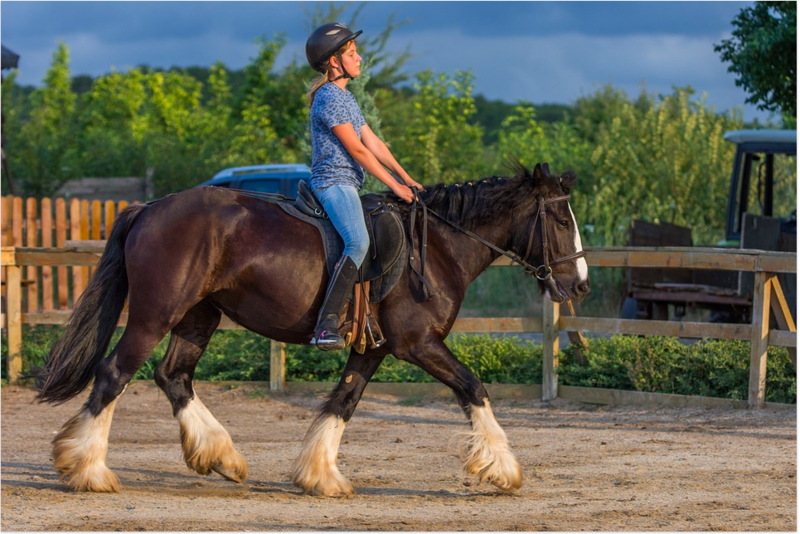 You can read more about the difference between working, medium, extended, and collected trot and canter here. ​You can read more about leg yielding here. You can read more about collective movements here.